As we recently reported, a study from researchers at the University of North Carolina at Chapel Hill suggested that Americans know surprisingly little about what’s in their tobacco smoke. Scientists claimed that a survey of 5,014 adults aged 18 years and over revealed not only a shocking lack of knowledge on the harmful chemicals present in cigarette smoke, but also a shocking number of people who had searched for information on smoke constituents. The study reveals a startling truth about the information available to people regarding the safety of tobacco smoke. While more than a quarter of survey respondents reported seeking information regarding the toxic chemicals present in tobacco smoke, the majority of them were unable to name the myriad of constituents with the exception of nicotine. The study also found that more than half of the people surveyed would like to have relevant information posted on cigarette packs and online by tobacco companies themselves. Despite the recommendation on behalf of the study’s authors, however, the industry shows little indication that it plans to address this informational discrepancy any time soon. 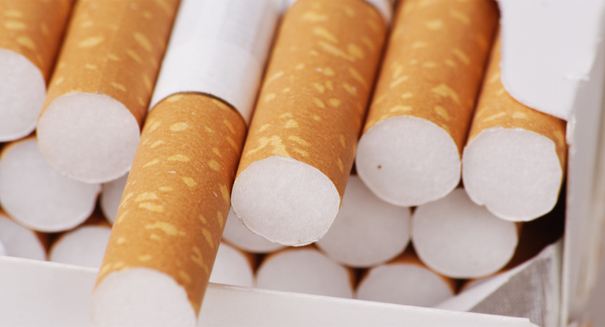 The study focused on segments of the population that were more likely to be affected by the negative aspects of tobacco, including people living in poverty, people with low levels of education and sexual minorities. These people are disproportionately affected by tobacco and smoking-related illnesses, largely due to the lack of available information on the harms and dangers of smoking. Ultimately, it will be the U.S. FDA that decides how information about tobacco risks is presented. The FDA was granted authority to regulate the tobacco industry in 2009 in the Family Smoking Prevention and Tobacco Control Act, but it remains to be seen whether they will force cigarette producers to start labeling their products with the names of harmful constituents. A press release describing the details of the study can be found here.